A U.S. non-immigrant visa allows a foreign national to visit the U.S. for a specific length of time. According to Trusteduworld.com, “One of the most common non-immigrant visas are visitor visas.” According to U.S. Department of State, “A 'visitor' visa is a non-immigrant visa for persons desiring to enter the United States temporarily for business (B-1), for pleasure or medical treatment (B-2), or combination of both (B-1/B-2) purposes.” Canadian residents interested in applying for a non-immigrant visa are encouraged to apply for the B1/B2 visa. Visit the U.S. Department of State homepage to download, complete and print forms DS-156, Non-immigrant Visa Application and DS-157, Supplemental Non-immigrant Visa Application. To download these forms, see the resources section. Write a check or get a money order to pay the processing fee of a non-immigrant visa. As of 2010, the fee is USD $131.00. Get supporting documents supporting your request for a U.S. non-immigrant visa. Supporting documents include, but are not limited to, proof of sufficient financial resources, proof of arranged plans to live in the U.S. temporarily and proof that you do not plan to immigrate to the U.S. illegally. Submit your DS-156, DS-157, passport photo, the non-immigrant visa processing fee, and all supporting documents to the nearest U.S. Embassy/Consulate/Diplomatic Mission in your location in Canada. For a list of the websites of all U.S. Embassies in Canada, see the resources section. Attend and pass your non-immigrant visa interview, upon receipt of your application and approval of your scheduled interview date by your local U.S. Embassy. Your non-immigrant visa is issued within 5 business days. Receive your visa and arrive in the U.S. as a non-immigrant visa holder from Canada. Som, Eric. "How to Apply for an American Non-Immigrant Visa From Canada." 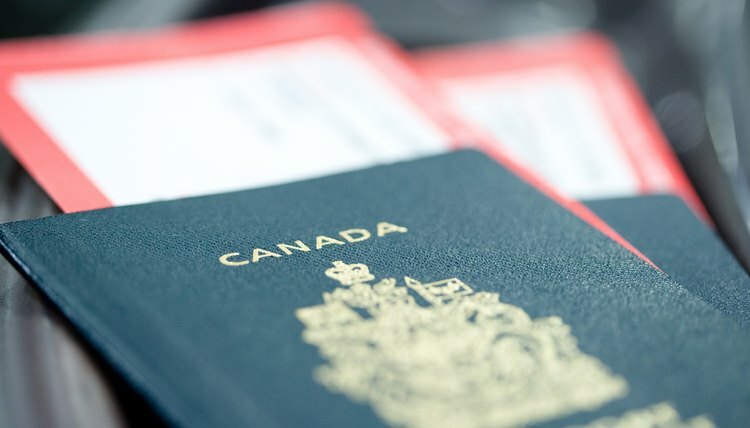 , https://legalbeagle.com/5852532-apply-american-nonimmigrant-visa-canada.html. Accessed 25 April 2019.